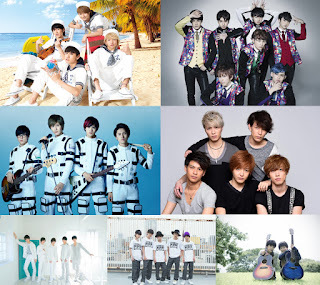 One of the main purposes of this blog is to shed light on Jpop boy groups outside of Johnny's Entertainment. One of the most popular agencies besides JE that produces a lot of boy groups in Japan (and also my personal favourite) is EBiDAN. I actually prefer EBiDAN to JE in a lot of ways as I feel like they're much more accessible to overseas fans (and fans in general) and they just have a lot more groups that appeal to me personally. 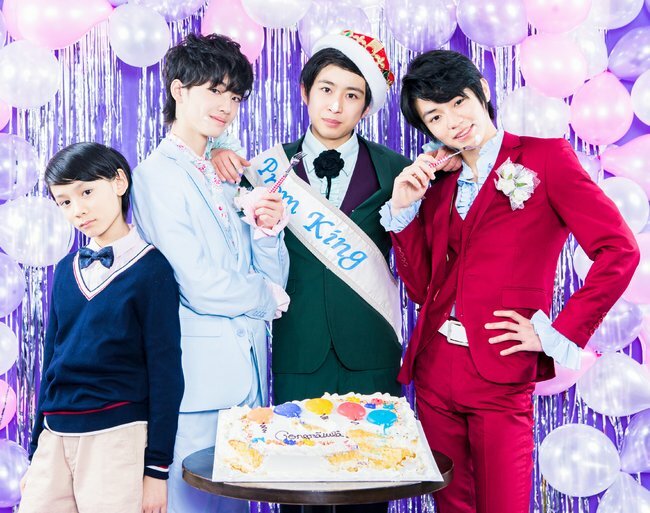 The only downside really is that EBiDAN isn't as popular overseas so it can be hard for new fans to find information in English and other languages. 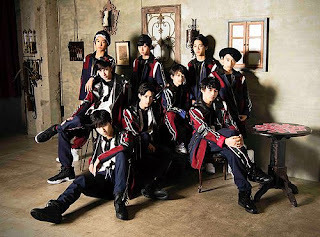 Nonetheless, I think that EBiDAN is a great agency to get interested in if you're someone like me who likes JE a lot but often gets frustrated at how difficult it can be to be a fan of its groups when you don't live in Japan. So I've put together a general introduction post. If, after reading this post, you've become interested in any of the groups and would like to know more about them then feel free to contact me. Also, stay tuned as I plan to make a few more in-depth posts about certain groups. I'm mainly interested in the younger EBiDAN groups though (cute idol boys are my weakness, haha) so I might not be able to give you much information on groups like PrizmaX and DISH//. Ebisu Gakuen Danji-bu (EBiDAN for short) is an entertainment school for male idols that was formed in 2010. Like Johnny's Entertainment; EBiDAN consists of singers, dancers, and actors. It is associated with the agency, Stardust Promotion (You may know Stardust as the company that manages the female idol group, Momoiro Clover Z). 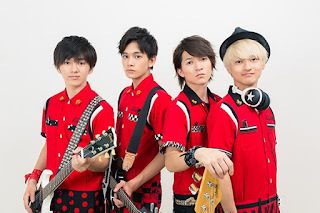 For more information on EBiDAN's overall history then you can check out this post. 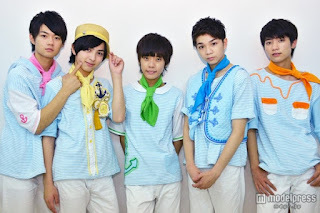 PrizmaX were actually active as a group since 2002 but were added to EBiDAN in 2010. They made their CD debut in 2013 with the single, "Mysterious Eyes / Go!". The lineup of the group has changed several times since their debut but the current members are vocalists Tim Kurokawa and Win Morisaki, rapper Shimizu Daiki, and dancers Fukumoto Yuki and Shimada Tsubasa. The interesting thing about PrizmaX is that a lot of their earlier songs are in English as both of the vocalists are hafus. Tim is from the US and Win is from Myanmar. DISH// were one of the first groups to actually debut from EBiDAN. They debuted at the same event as Chotokkyu in 2012 with the indie single, "It's alright". Their music is in more of a rock style and they do actually play their instruments but they dance while performing on stage. Their major label debut was in 2013 with the single, "I Can Hear". They are so far the only EBiDAN group that isn't under the Stardust Music Label; they are represented by Sony Music Records. 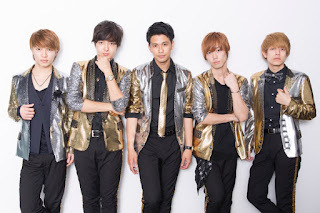 The members are vocalist and guitarist TAKUMI, back-up vocalist and guitarist MASAKI, bass guitarist and rapper RYUJI, DJ and rapper To-i, and drummer DAICHI. Also known as Bullet Train, Chotokkyu made their debut in 2012 with the single, "TRAIN". They are probably the most popular EBiDAN group overseas. 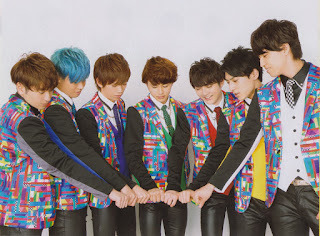 Each of the members of Chotokkyu have a colour that represents them; Koichi - black, Kai - blue, Ryoga - purple, Takuya - green, Yuki - red, Yusuke - yellow, and Takashi - white. Koichi and Takashi are the singers of the group, the rest are dancers. I love Chotokkyu for the somewhat crazy style to a lot of their songs. All of their songs are available to purchase on iTunes (even outside of Japan!). Sakura Shimeji are a duo who made their CD debut in 2015 with the single, "Ikujinashi / Kino no Yume". The members are Takata Hyouga and Tanaka Gaku. Both of them sing and play the guitar. Hyouga also plays the tambourine. All of their songs are available on iTunes as well. Now for probably the most er...unique EBiDAN group. MAGiC BOYZ (sometimes called Majibo for short) are a "rap" group who also made their debut in 2015 with the single, "MAGiC SPELL ~Kake Chau Zo Pippippi~". The lineup has changed quite a lot over the years but the current members are MCs Ryuto, Touma, and Mahiro, and DJ Joe. Some of their older songs are available to purchase on iTunes. A lot of Majibo's songs are actually quite catchy, it's just that the members themselves are pretty awkward and don't really fit well with the group's concept in my opinion. Now for my personal favourite group! M!LK made their CD debut also in 2015 with the single, "Coffee ga Nomemasen". The title track was used as the ending song for the anime, "Pankisu!". I'm totally not extremely bitter about the fact that M!LK are the only 39&KiDS unit whose songs aren't available on iTunes outside of Japan, nope. M!LK is a group with a very cute image and all of their songs are super upbeat and catchy so if you're into groups like that then definitely check them out! The members are Sano Hayato (pink), Itagaki Mizuki (orange), Yamazaki Haruki (green), Shiozaki Daichi (blue), and Yoshida Jinto (yellow). SUPER★DRAGON's first widely available single was "Pendulum Beat!" which was released in 2016. The title track was used as the opening song for the anime, "Yu-Gi-Oh! Arc-V". SUPER★DRAGON have a more cool, bad boy kind of image (which I find kind of funny sometimes because members like Raku for example are way too adorable to pull off that kind of image) and their music tends to have a lot of rapping and dubstep-like sounds. The group is split up into two subgroups; FIRE DRAGON - which is made up of the four oldest members - Reo, Tsuyoshi, Jean, and Hayate and THUNDER DRAGON - which is the five youngest members - Sougo, Koki, Hyoma, Tomoya, and Raku. Tsuyoshi is the main singer of the group, Jean mostly raps, while the other members mostly just dance but this sometimes changes depending on the song. Also Jean is half-Turkish. All of their songs so far are available on iTunes. As well as the debuted groups, EBiDAN also has its own trainee members similar to Johnny's Jr. in JE, known as EBiDAN 39&KiDS. EBiDAN 39 (pronounced 'sankyuu') are the older trainees while EBiDAN KiDS are generally the under-13s. Sakura Shimeji, MAGiC BOYZ, M!LK, and SUPER★DRAGON all started out as 39&KiDS units so a lot of the time they will still appear in the 39&KiDS live events and TV shows. EBiDAN 39&KiDS has six different locations; Tokyo, Osaka, Nagoya, Sendai, Okinawa, and Fukuoka. There is also EBiDAN THE STREET for groups that mainly focus on performing street lives. If you're interested in any of these groups, you can head on over to Stardust's official YouTube channel to check out their music videos and other cool videos. 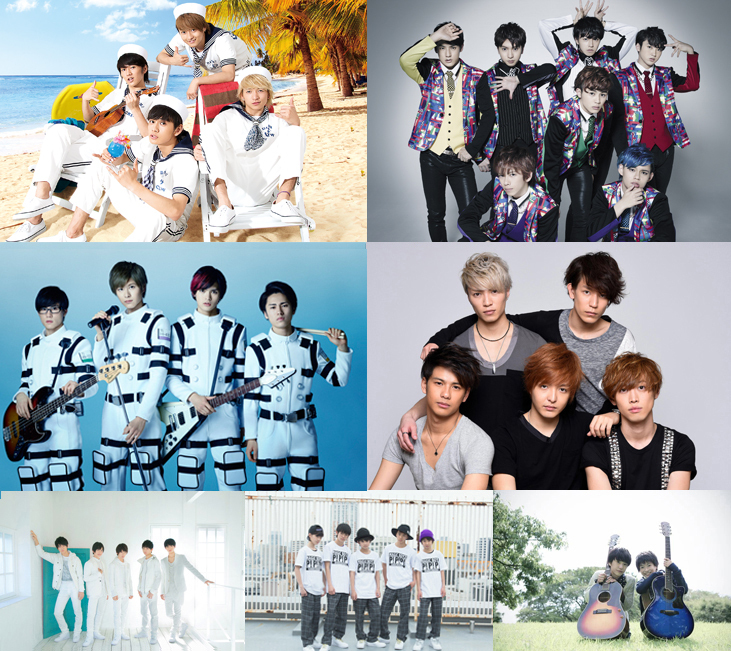 Also if you'd like to watch any of their concerts or EBiDAN's weekly TV shows, they can be found on Stardust Channel. If you'd like any more information then feel free to comment below! No problem! It was really helpful to me when I was first getting into EBiDAN.